If you’re considering high calorie dog food brands for your pet, you’d most certainly be within your reasons. Just as with humans, your dog may be under his or her desired weight. If this is noted by your veterinarian, you’d want to start a diet that includes a lot of calories. Offering a high calorie diet will ensure proper nutrition and growth without overdoing it. Many commercial dog food manufacturers have done their homework – developing tasty and fulfilling recipes that your dog will surely fall in love with. The breakdown comes to meat content, carbohydrates, as well as vitamins and nutrients for proper growth. Here are some well-regarded recommendations from consumers and manufacturers alike. 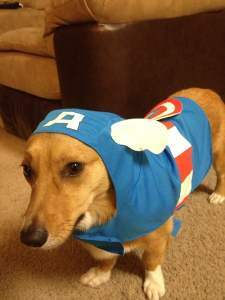 What Are Some Desirable High Calorie Dog Treats? When compared to other top dry dog food brands, their formula exceeds in protein content. This is particularly important if you’re looking for a high calorie diet. It’s full of that wholesome poultry taste with both deboned turkey, as well as deboned chicken. As said earlier, protein and carbohydrates walk hand in hand – and these both add up to high calories with these particular meats. Aside from your dog’s weight-gain, rest assured he’ll also be getting the proper mix of vitamins, fatty acids, and natural nutrients from the many vegetables. If you’d like to try something different, have you ever heard of Blue Buffalo? They’re a Connecticut based business with an entire line based on natural ingredients made without animal by-products. 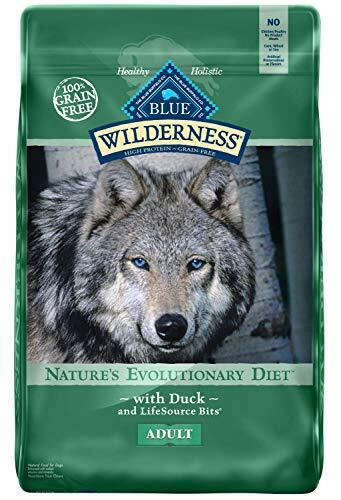 A dog-and-owner recommended recipe is their Wilderness Grain Free Duck Recipe Dry Dog Food. This is also a dry dog food, so it’ll contain just the right balance of complex carbohydrates. Couple that with high-protein, and this breaks down to important calories necessary to your dog’s high calorie diet. There’s also the interesting addition of blueberries, cranberries, and carrots for a well-balanced intake of vitamins and nutrients. Having some of the provided B-vitamins are essential to your pets health as they supplement valuable cellular growth, as well as healthy skin and coat. 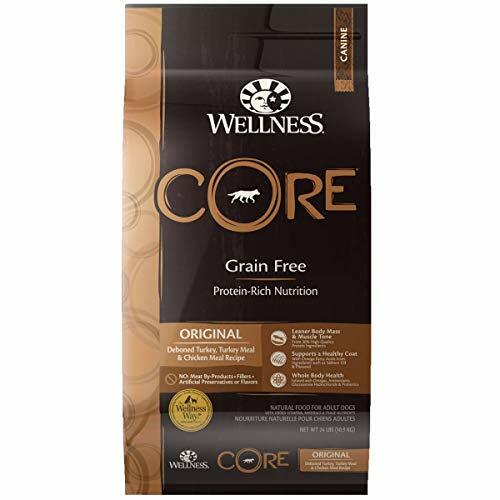 When looking to increase your dog’s size or to a healthy weight level, offering high calorie dog food brands such as these recommended ones would be an excellent choice. Remember to follow the usual regiment when providing your dog with new food, by slowly mixing the old with the new. Your veterinarian would be able to give you the best idea toward how much, and how often to feed your dog – don’t ignore their expertise, so you and your pet may reap the rewards! For our pet food recommendations to other issues, please visit our other posts .